Rollator walkers are basically four-wheeled walkers. Unlike traditional walkers that maneuver without wheels, or with two fixed wheels, three and four-wheel rollators provide a greater range of movement than other mobility aids because of their swivel wheels and locking hand brakes. If you can't use a traditional rollator and require a walker with extra weight capacity, take a look at the Medline Bariatric Walker- it is easy to assemble, is reinforced to be extra sturdy, and is relatively inexpensive. This Medline Bariatric Rollator Walker is an extra wide mobility aid that includes 8 inch wheels and measures 29" x 44.5" x 29" ( Width x Height x Diameter). Among the outstanding aspects of a rollator, especially one that is created for more heavy individuals, is that it is able to restore a degree of mobility and independence to folks who have not been independently mobile for a long time. This particular rollator is sturdy enough for heavier users, yet is also collapsible, which makes it somewhat portable (though some users have had a bit of a struggle folding it into their car trunks). This extra-wide bariatric rollator is great for people who are more heavy than average. It will service up to 400 pounds and has a padded backrest bar that simply lifts out. One of the greatest things about this roller would be that it does not require any assembly-you don't have to worry about screwdrivers. All you need to do is attach the wheels, and Medline provides big screws that will allow you to secure the handles in place. It measures 22.5 inches from floor to seat. The adjustable handles are perfect for users that don't wish to stoop over while they're navigating their roller. One consumer writes that as a 5 foot 7" man, he favors ambulating in a totally erect position, and he was equipped to adjust the handles to support him without the need to reach their full extension. One user writes about buying it for his mother. He writes that he could hardly believe his eyes as he saw her begin quickly navigating again. She was able to walk throughout the house and even travel outside over pebbles and grass, which the large rubber wheels enabled her to traverse. The basket underneath the bariatric walker's seat is designed for when a user would want to trigger the wheel locks, sit back, and read the newspaper or access their personal medications. This rollator is not as portable as other rollators that are not designed for bariatric use- it weighs 24.4 pounds, which is a good deal heavier than many of the other four-wheeled walker is that we have reviewed. That extra heft is what makes this bariatric walker ideal for individuals struggling with obesity. But it can be a bit of a struggle to fold it into a trunk. One other small drawback is that its paint is a bit susceptible to chipping if you are not careful with it. What are users saying about the Medline bariatric rollator? Yet another consumer talks of how effortless this bariatric walker ended up being to put together, he identifies himself as totally inept with regards to working with his hands, but found that this walker was particularly easy to get up and running. This consumer even offers some information concerning how he uses it with his automobile. He states that it generally fits in the trunk of his car- the very first thing he does is to lift the metal basket out, after which he pulls up on a bottom bar that collapses the walker. One of the things that doesn't get enough attention, he writes, is that the basket is accessed by lifting up the seat. The seat as well as the backrest will basically lift in and out according to what you are looking to do. Overall, he identifies this as a wonderful walker. He also is satisfied that he purchased it online as opposed to a local medical supply store in which the models are frequently outdated and more expensive. Investing in a bariatric rollator could be a big decision. 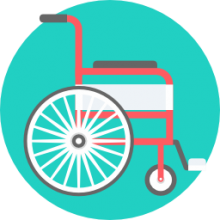 It has the capability to transform the life of an individual experiencing a mobility impairment. If you or a family member are thinking about getting one of these bariatric walkers- take time to evaluate the latest prices and all of the feedback these items have received. 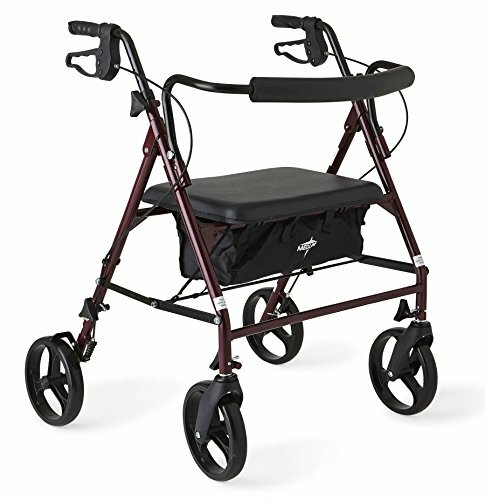 It is a fantastic way to investigate true value of these walkers for those who have bariatric and mobility issues.